Please call the Library Service Desk, at (936) 294-1614 or toll-free 1-866-NGL-INFO (645-4636), with questions about hours for a certain library area. Starbucks: Please click for information on Starbucks in NGL and its hours. Hours vary between semesters and during holidays. Schedules shown below are subject to change. * A professional librarian may not be available during ALL library service operational hours at the SHSU-The Woodlands Center. 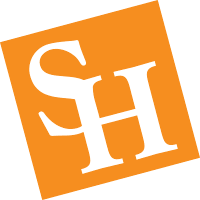 Find contact information for SHSU-The Woodlands Center Library Services.